New York City’s famous Diamond District is located in Manhattan on 47th Street between 5th Avenue and the Avenue of the Americas. It is home to the largest diamond shopping district in the world. 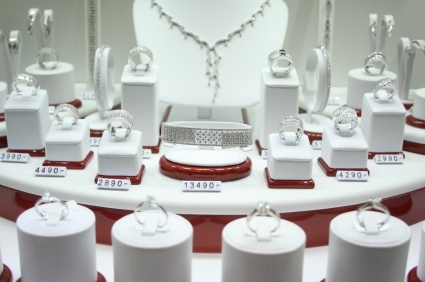 Diamond merchants offer diamonds of just about any size, shape, color, quality, etc. Consumers have the option of buying loose diamonds, fine quality finished diamond jewelry or settings for diamonds they already own. The Diamond District is home to more than just diamonds, though. You’ll find colored gemstones, gold, silver and platinum jewelry, high end watches and more, as well as certified repair services. When walking along 47th street, you will see that many merchants have their own shops, while other vendors rent small booths from which to conduct their business dealings. Modell Collateral Loans is proud to own a shop at 21 West 47th Street on the 2nd Floor in the heart of the Diamond District. We are only a few steps away from some of Manhattan’s largest attractions, including Times Square, Rockefeller Center, the Broadway Theater District and St. Patrick’s Cathedral. A community of diamond dealers was present in the 1920s in South Manhattan on Canal Street and the Bowery. A second community of merchants was formed in the 1930s in the Financial District. The Diamond District was formed when these merchants moved north in the 1940s. The Diamond District saw a huge influx when many diamond dealers were forced to leave merchant centers in the Netherlands and Belgium during World War II. Today the Diamond District is a megaplex for the global diamond industry. It is estimated that 90% of diamonds in America enter through New York City.